G.P. Putnam's Sons, 9780399174575, 432pp. Nick Petrie received his MFA in fiction from the University of Washington, won a Hopwood Award for short fiction while an undergraduate at the University of Michigan, and his story "At the Laundromat" won the 2006 Short Story Contest in the The Seattle Review, a national literary journal. A husband and father, he runs a home-inspection business in Milwaukee. 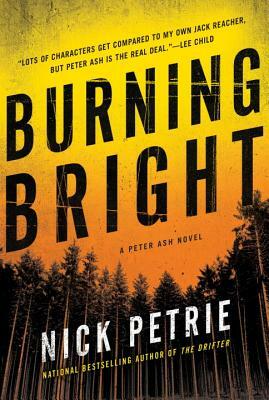 His novels in the Peter Ash series include The Drifter, winner of the ITW Thriller Award and the Barry Award for Best First Novel, Burning Bright, and Light It Up.